It wasn’t if, but when the New York Islanders realized their crucial mistake of moving to the Barclays Center in Brooklyn. Not even one full season in Brooklyn, it has been reported that both the Islanders and the Barclays Center are looking for a way out of the team’s 25 year lease with the building. To say that the move to Brooklyn has been to a disaster is a huge understatement. The Islanders were enticed by the vixen that was the Barclays Center. A sparkling arena in Brooklyn that would make the decaying Nassau Coliseum a bad memory when older Islander fans would tell younger generations that the team used to play in a dump. Unfortunately, New York fell for the perfect partner before the first date. Had the team and Barclays Center actually really looked into their future relationship, their status wouldn’t currently read: it’s complicated. been established a new new center for entertainment in New York City. Then, the truth comes out. The arena has the worst sight lines in hockey with numerous obstructed views, and the smallest seating capacity in the NHL. The real kicker is that the Barclays Center limits the Islanders because under the agreement the arena collects revenue from ticket sales, advertising, and promotions. That limits the amount of money the team can make in the building and could stunt the franchises growth because of the lack of income. 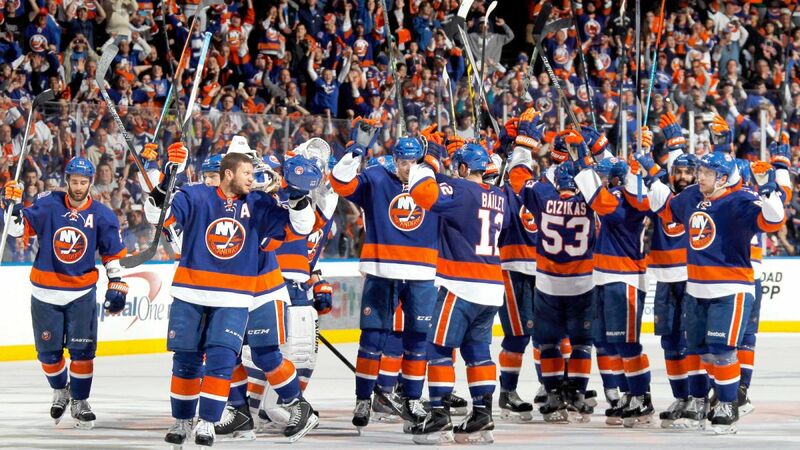 The Barclays Center has also been hampered by the Islanders becoming a permanent tenant. Since they have to book the Islanders home games, the arena is limited in the concerts that can come to Brooklyn. Given the the primary purpose for the arena’s construction was for concerts and basketball, the Islanders are hurting the prospective revenue that could be made off of concerts. The new Islanders ownership is now stuck between a rock and a hard place. that should have been a temporary solution at best, rather then a permanent home. Despite owning one of the best home records in the NHL, the attendance for the Islanders is 28th in the league. While part of that can be partially attributed to the smaller arena, the arena’s location, and ticket prices are what have impacted this standing the most. So what now? There’s no promising solution for the Islanders on the horizon. While Nassau Coliseum is being renovated, the capacity will be 13,000, well below the the NHL minimum. There could be a renegotiation between both sides to work out a new lease, but this would be more of a patch then a long-term solution. New owner Jonathan Ledecky has wanted to move the team to Queens in the past, but that would be an expensive proposition considering the Barclays Center cost a Billion dollars to build and the new Islanders arena would directly have to compete with it. Either way both party’s have a terrible situation with no great exit strategy. In a perfect world the Islanders could build a new arena and leave, but given the current financial standing of the club, and the cost of building an arena in the New York area make that an almost impossible scenario. As long as the Islanders are in Brooklyn, an arena that’s too small and isn’t built for NHL hockey, it’s going to be a trying relationship at the Barclays Center. We will keep you posted as this story continues to develop.